Venomous Snakes: How Do You Really Know? It’s that time of the year! All of the wildlife is coming out from winter welcoming us into spring. As it progressively gets warmer, the reptiles are coming out of their hibernation. People like me, a naturalist and reptile lover, embrace this time. However for the average person, this time of the year is a bit unnerving because they know the venomous snakes are about to cross their paths. 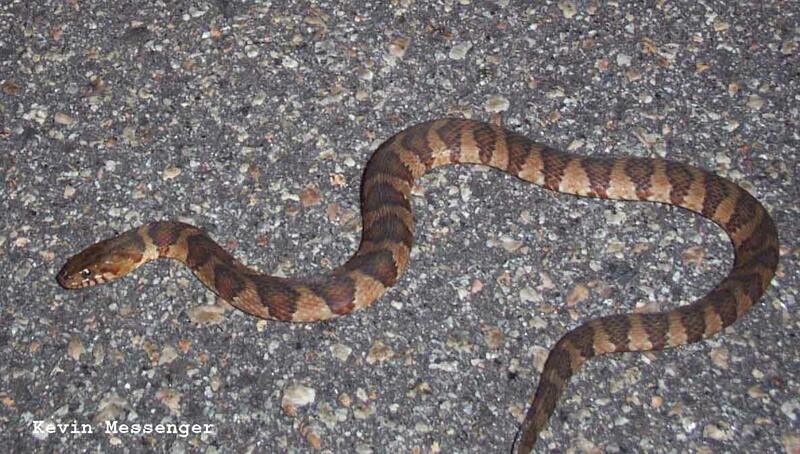 While most people think they know the signs of a venomous snake, they are often wrong. This can quickly turn dangerous, if they come across a venomous species. First of all, let’s be sure we all know what venom actually is. Venom is not poison. Poison is not venom. Repeat after me please: Venom is injected, poison is ingested. I won’t go into the extreme biochemical compounds of poison and venom but please realize, snakes do not have poison. They are venomous. The treatment for venoms and poisons are completely different and so are their side effects. Now you know snakes can only be venomous. So how do you know if its venomous or not? Well I wish I could give you simple black and white answers but unfortunately I can not. I can, however give you some signs that typically point toward venomous. Venomous snakes are often nocturnal. The best food comes out at night. Most nocturnal animals have vertical eyes, like a cat. Almost all venomous snakes have these “slit” eyes. However, be aware venomous snakes will come out during the day to sun. It has a triangle shaped head. Many venomous snakes have large venom sacs which sit behind their jaw bones right before the neck area. Vipers, like rattlesnakes, have large venom sacs. However others like cobras and coral snakes lack this large sac area, yet carry extremely toxic venom. Rattles. If if has a rattle at the end of the tail, then it is without a doubt a venomous rattlesnake. I elaborate on this because people mistake snakes for rattlesnakes all the time. Many snakes shake their tail against an object or grass and it makes a rattle type noise. 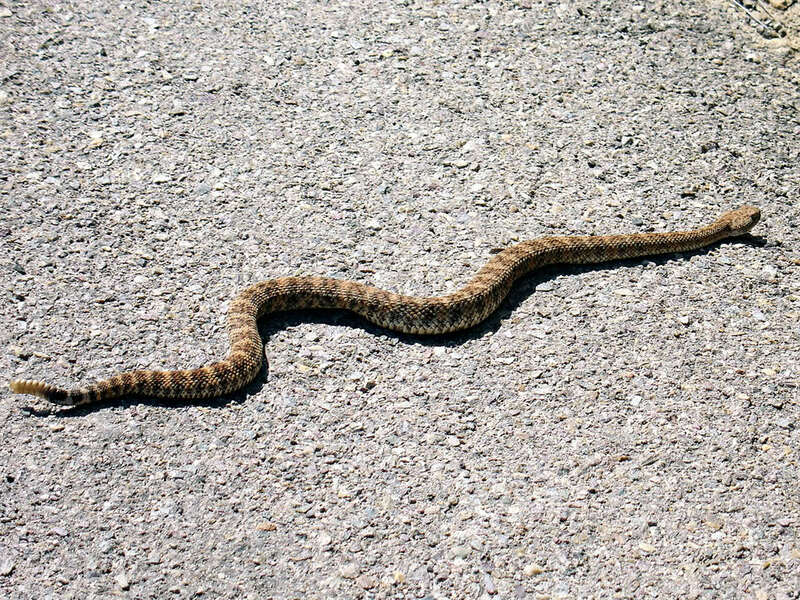 A rattlesnake actually has visible rattles on the end of its tail. If it strikes at you and you see fangs, this means its venomous. Even with these simple signs, unless you are an expert in snakes, it can be very hard to correctly identify a venomous snake. There is an exception to every one of those rules. So remember, even if a snake looks fun to hold, its best to leave it alone, just in case. If you run across a troublesome situation with a snake, call for help. Better to be safe, then chance it and get hurt. Rattle at the end of tail. Only Rattlesnakes have this. I always love reading your articles!! Especially on snakes and spiders. There is a book put out by the Oklahoma Department of Wildlife about reptiles and has really good pictures. Your friend recommended it to me many years ago when the new printing came out. I keep it in my truck and have used it many times. I like how you mentioned that snakes will rattle their tails, even when they aren’t venomous. My corns normally do this around feeding time. When I first had it happen, I thought it was hilarious. Thanks for the article. I just came across what I would say was a very young rattle snake layed out on a piece of granite in the sun with just 1 developing button. No sound. The zoom on my cameria allowed close examination without getting close at all. Thank you for reading! Yes I use my camera to observe animals when I can not see them well enough. Hope my article was of help!